It's possible that floral jewellery never looked this gorgeous before! If you don't believe us, you need to take a look at this beautiful bride who chose the prettiest jewellery from Flosaira, and oh my God, she looked stunning! 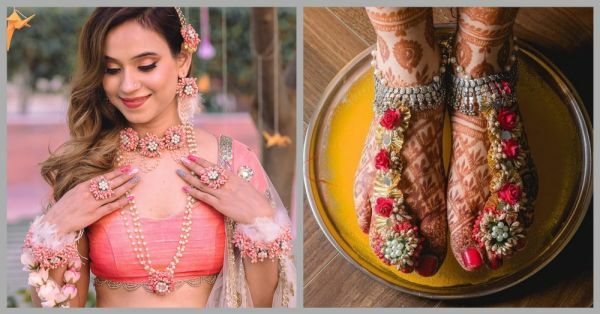 And if you're also a chic bride, who wants to give a miss to those done-to-death kundans, then here are some edgy yet traditional floral bridal jewellery designs for you to take inspiration from. From her paasa to neckpiece to the feather earrings, floral kaleeras and feather haathphools, everything was on point. Check out her absolute drool-worthy looks organised by Eventila and captured beautifully by Weddings By Knotty Days. Look at this beautiful floral paasa with pearls and ghungroos. So unique and stylish! Oh did you see the feather touch? Totally royal! We love how she didn't go over the top with her hair and kept it simple and elegant. We can't take our eyes off these pair phools, can you? Perfect accessories for your mehendi or haldi! Such pretty fur bracelets with rings. It adds all the charm and elegance to the bride's overall look. 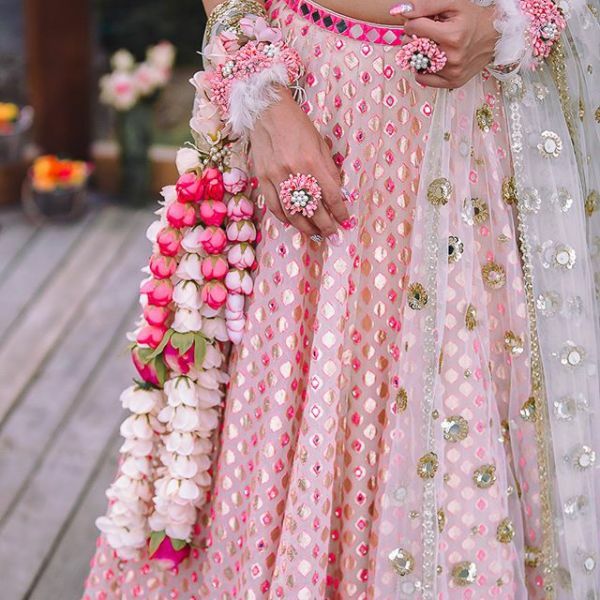 "These floral kaleeras are sewed with the finest quality of roses in shades of peach, off-white and pink. These floral kaleera with a floral band is just perfect for that "Bride elegance", you would want to carry on your mehendi day. The idea is to carry it just in one hand," says Flosaira. The bride decided to go with a floral choker necklace, and the result, as you can see, is stunning! We can't stop gushing over this one. 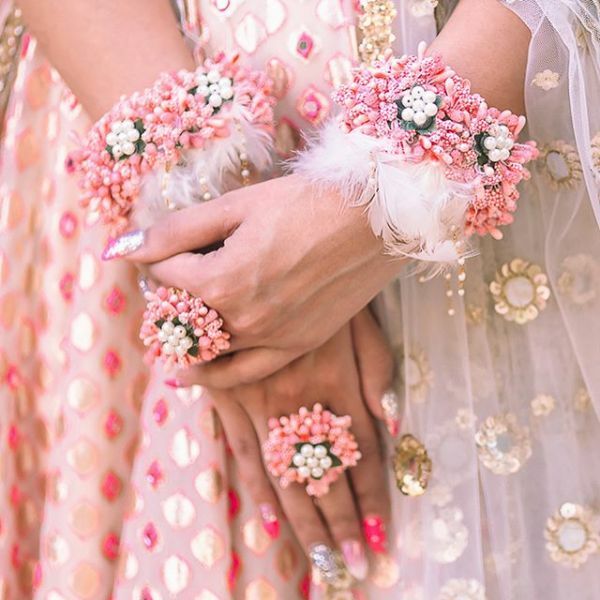 So ladies, if you fancy floral jewellery as much, then you know where to head for all the inspiration and look like a dream on your big day!